How to transport & store a wedding dress. Most of us never own a dress as fine as the one we wore on our wedding day. The materials that wedding dresses are usually made from are normally delicate laces, silks and organzas which look and feel fabulous. That’s exactly what we all want on our big day. But, what if you are travelling a long way to your wedding? Maybe abroad? How will you get your beautiful dress to your destination in the best possible condition? How will you get your wedding dress onto a flight without it having to go into the hold? The last thing you need before your wedding day is to be worrying about these sort of things so, here are a few simple steps to make sure you don’t encounter any problems. There is also a way that you can then make sure that your dress is preserved after your wedding! So, you’ve had your big day. You’ve had your photograph taken a thousand times, your face still aches from the constant smile you had on your face all day, your legs ache from the dancing until the early hours and your beautiful dress looks, well …… a little less perfect than when you first put it on! What do you do? How do you clean it? Well, whoever cleans it needs to have some expertise on the materials used so they can use the correct cleaning materials. Don’t be tempted to wet the dress, even with a damp cloth, as some of the fabrics really do not react well to that! Nikki at Boxed Bridal has been running her business cleaning bridal gowns for over 10 years so has oodles of experience of all sorts of fabrics. She know what types of cleaning materials to use and will give you the very best chance of getting your dress back to it’s normal state. 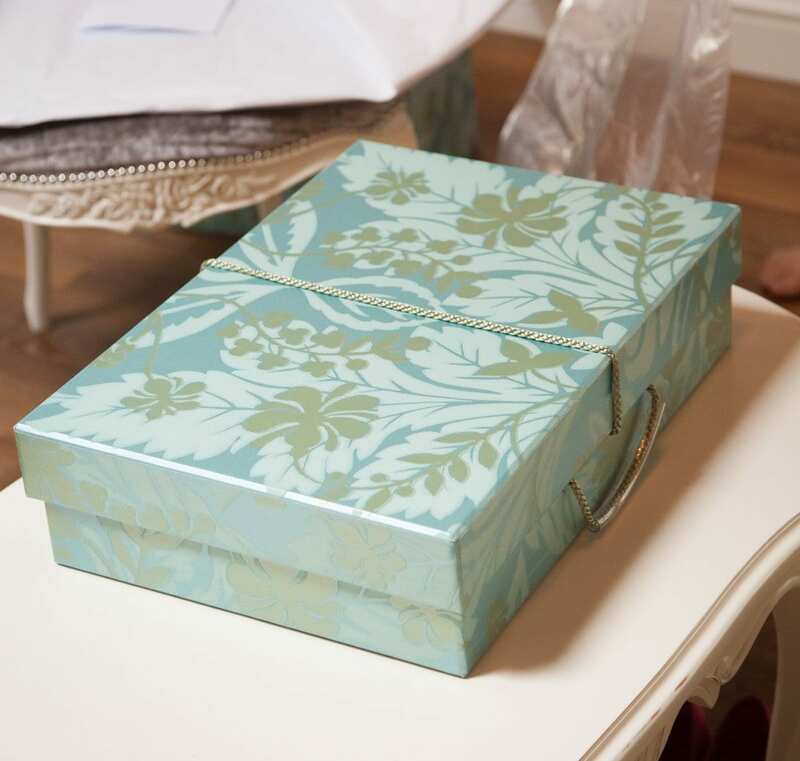 Then you can store it in one of the beautiful boxes above!